SUMMARY: Will we spend money like drunken sailors in retirement? Surprisingly, not as many of us as we’d think. There’s not much about retirement figures nowadays that could truly surprise me. Most numbers are just progressions, updates of what we’ve seen before. Up a bit. Down a bit. A little better, a little worse, than the last in the series. Reasonably predictable. But sometimes you come across some statistics that do offer a bit of a surprise. By the time we die, even the poorest of us, on average, are spending less than we earn (ie, saving money each year). Whether you’re poor, of average means, or seriously loaded, your spending patterns will follow a similar downward trend in retirement. Australia’s poorest actually achieve their peak incomes as they’re figuratively knocking on heaven’s door (over age 85). New analysis by Milliman show that we shouldn’t be so accepting all of the perceived wisdoms about retirement. Milliman’s Retirement Expectations and Spending Profiles report debunks a few myths. Is post-retirement spending roughly linked to a percentage of pre-retirement income? No. 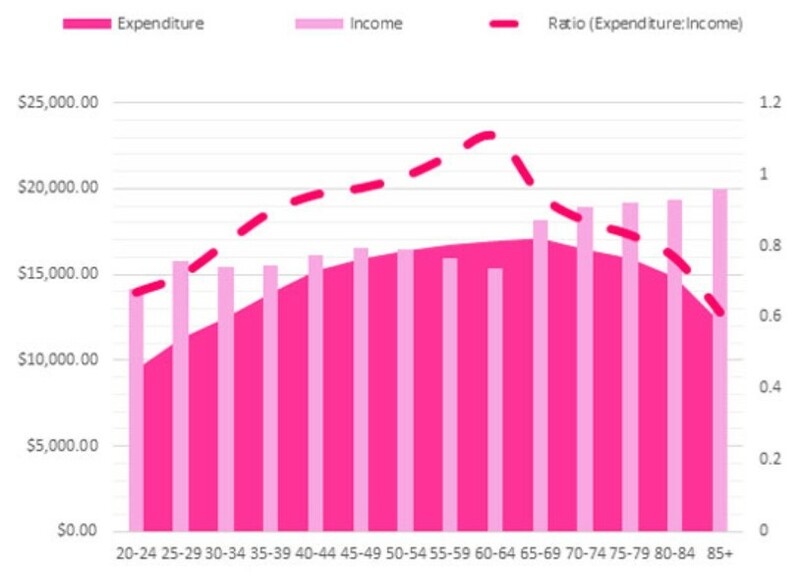 Do we spend less as we get older, because our asset base is being eroded? No. Our spending falls, on average, by around 35% between our late 60s and late 80s, relative to our incomes. And it is only our nation’s poorest that go through a period of spending beyond their means. This actually occurs from their late 40s through to their mid-to-late 60s. Otherwise, we spend within our means. 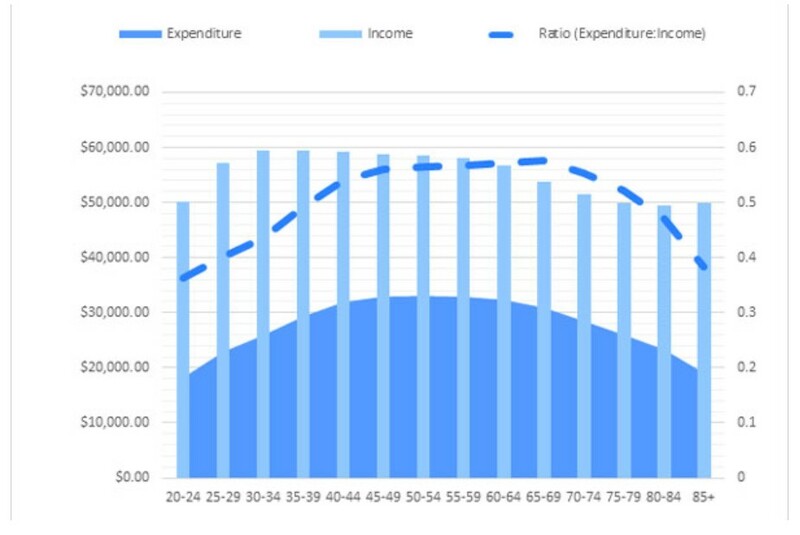 Milliman’s analysis of Census data shows that the median couples’ spending falls around 36.7% between their late 60s and the period after age 85. This group is seen as earning between $33,800 a year and $91,000. Their average peak income actually happens quite early in their lives – in their early 30s at a little below $60,000 a year. Their peak spending, as a proportion of their income, is reached in their late 60s. At this point, average incomes are sitting at around $54,000 and spending is at a little over $30,000. Even if you ignore the income side of the statistics, what the fall in spending challenges is the understanding that we need a fixed percentage – often talked about as 60-75% – of our pre-retirement incomes to support us through retirement. Government and the super industry are trying to come up with new retirement income products to broaden beyond what we have now, which are loosely account-based pensions (ABPs) and annuities. The search for better “comprehensive retirement income products” (CIPRs) has been running for four years. And not much product innovation has come out of it. For Milliman’s survey, higher income earners are classified as those earning in excess of $91,000 a year. Obviously, higher income earners spend more money, off higher incomes. But the reduction in spending in retirement is quite similar. It drops from a peak spending of around $80,000 a year at about age 50, to around $65,000 in the late 60s, to around $38,000 once they hit age 85. “While wealthier retirees spend more in absolute terms, all three groups are saving money in retirement,” Milliman says. This lowered spending also shows through for lower income earners, seen as earning less than $33,800 a year. However, they do have a period of approximately 25 years in the lead-up to retirement, where expenditure exceeds income. For a small period, in their early 60s, they are spending in excess of 110% of what they earn. Also interesting about these numbers is their average incomes hit a low point just before retirement, in their early 60s. From there, their incomes take off. Literally, they earn their highest lifetime incomes through retirement, which increase as they age. Obviously, this is predominantly because of the support of the government age pension. The final graph from the report worth sharing is about where our money is spent. 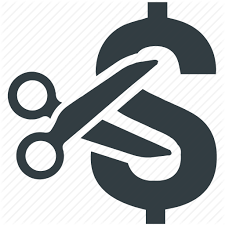 Milliman split spending into eight categories – health, housing, food, energy, insurance, leisure, household goods and services, and travel. Only three of those categories seem to increase over time and two of those (food and energy) are only marginal increases. The big spending increase, not surprisingly, is health, which roughly doubles from 11% to about 22% of spending between the late 60s and 85+. Travel is the big loser as we age and lose mobility, falling from about 8% to below 4%. “While energy represents a small proportion of overall household expenditure, the amount spent is significantly correlated to income levels: higher income households have more expensive (and energy-consuming) lifestyles,” Milliman’s report said. We have a SMSF, with two trustees receiving a part government-aged pension. If one passes away, the other trustee is then designated as a single person for pension payments. However, the total financial assets are well above the single threshold limit, essentially cancelling or ruling out the part pension. How or what strategy can you use to negate this occurrence? An overnight doubling of your assets due to the death of your spouse is certainly a problem for the government age pension. And for many, that will knock you over the asset-test limit for receiving the age pension. The reasoning is that there is only one of you to spend twice as much money over a lifetime now, so until your assets fall below a certain limit, yes, you’ll be ineligible for the pension. The way to increase your age pension is to decrease the amount of your assets that are subject to the asset test. For example, your home is not tested. You are able to spend money on your home, thereby decreasing your assessable assets and increasing the value of your non-assessable assets. In or near retirement, a common strategy is to spend money doing up the home to get it into a state that will hopefully see you through retirement, while helping to maximise the age pension. Also not assessed are funeral bonds. This can reduce the stress on your family at the time of your death, as well as reduce your testable asset base. And of course, gifting. You are able to give away money (to your children or other family members). But be aware of the gifting limits. You can’t give away more than $10,000 in a given year and a maximum of $30,000 over a five-year period. If you give away any more than that, you will be assumed to still have the asset. You really need to sit down with a financial adviser knowledgeable in the area of planning for age pensions to make sure your person circumstances are best taken into account.